Anxiously awaiting Diwali along with the rest of Delhi, the AIG managed to stop by a local market on the way back from the office and pick up a few holiday items. Apparently we were not the only ones with the idea of doing a bit of last minute shopping as the streets were filled with eager customers picking up flowers, gifts, and sweets. Loosely translated to “row of lamps”, Diwali supporters often light small handmade clay pots signifying the triumph of good over evil. 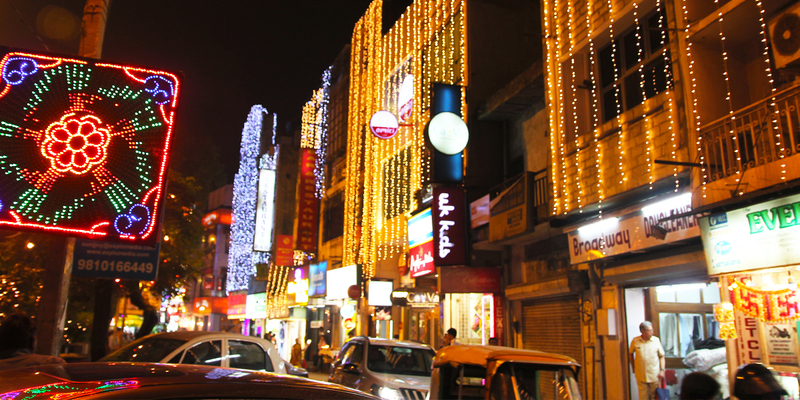 In addition to the lamps, homes and store fronts are often meticulously decorated with strings of lights, breathing a festive energy into the streets once the sun begins to set. This time of night is usually when the fireworks make their first appearance. Beware light sleepers, as they have a knack for running into the wee hours of the morning. 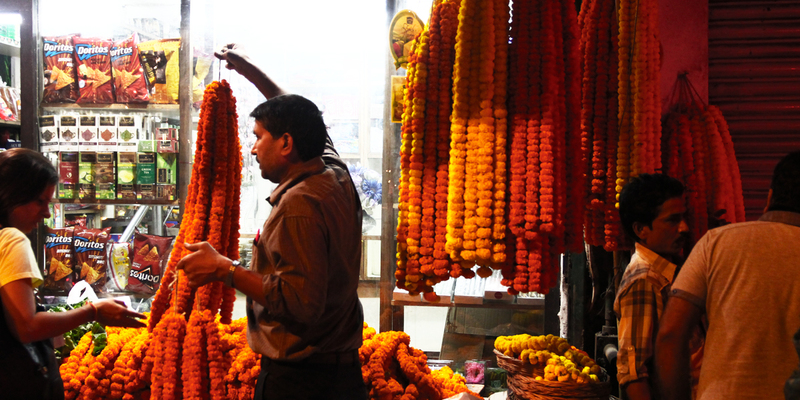 This entry was posted in Experiences, Festivals, Travel, Uncategorized and tagged Delhi, Diwali, India. Oh wow!! Diwali decorations:) I miss Delhi sooo much..